KABUL, Afghanistan — The number of civilians killed in Afghanistan in the first half of this year has increased by 1 percent, compared to the same period last year, according to a report released Sunday by the United Nations. The U.N. mission in Afghanistan said the number — 1,692 killed in violence — is the highest 6-month death toll since the systematic documentation of civilian casualties started in 2009. In its report, UNAMA said 3,430 Afghan civilians were wounded in the January-June period. The killed and wounded add up to a total of 5,122 civilian casualties, which is a 3 percent overall decrease from the first six months of 2017. The U.N. mission renewed its call on parties to the conflict to increase efforts to protect the civilian population and work toward reaching a peaceful settlement. U.S. Secretary of State Mike Pompeo used an unannounced trip to Afghanistan on Monday to step up the Trump administration’s calls for peace talks between the Afghan government and the Taliban. Sunday's report and others like it reflect the grim reality of Afghanistan today. Since the U.S. and NATO forces formally concluded their combat mission at the end of 2014, a resurgent Taliban have stepped up their attacks across the country and an Islamic State affiliate has also emerged to launch horrific high-profile attacks that have claimed the lives of scores of civilians. The U.N. report also cited a lull in June, when the Taliban accepted a three-day cease-fire over the Eid al-Fitr holiday that caps the Muslim fasting month of Ramadan. The insurgents later rejected a subsequent call by President Ashraf Ghani to extend it. Ghani has repeatedly extended calls to the Taliban for peace talks but they have rejected them outright. 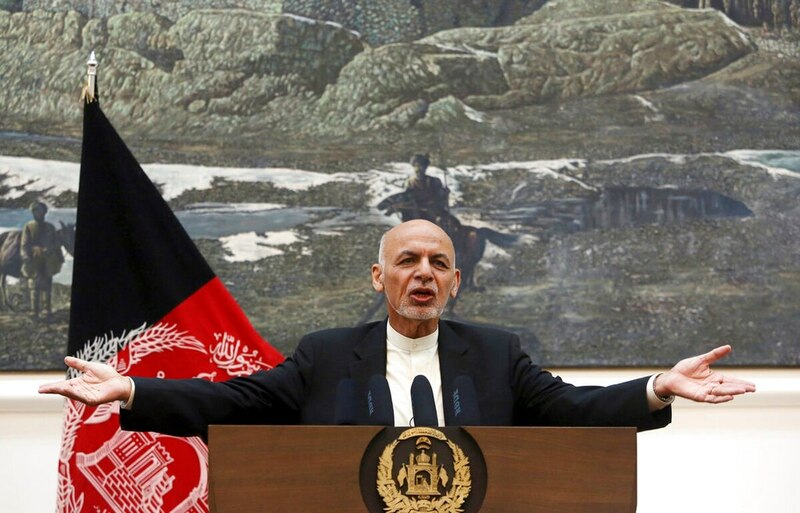 Speaking at a press conference Sunday in Kabul, Ghani said the NATO summit last week in Brussels fully backed his government’s efforts and peace initiatives. "The brief cease-fire demonstrated that the fighting can be stopped and that Afghan civilians no longer need to bear the brunt of the war," the report quoted Tadamichi Yamamoto, the U.N. Secretary-General's Special Representative for Afghanistan. “We urge parties to seize all opportunities to find a peaceful settlement ― this is the best way that they can protect all civilians,” added Yamamoto, who is also head of UNAMA. A bold Afghan peace offer, but are the Taliban interested? Afghanistan’s President Ashraf Ghani has put a peace offer on the table, and analysts say the ball is now in the Taliban’s court. But so far the militants are showing no sign of being interested. According to the report, 157 women were among those killed and 387 were wounded in the January-June period, the report said. The mission also recorded a total of 1,355 child casualties, with 363 deaths and 992 children wounded in the first six months of the year. "UNAMA continued to document the toxic consequences of this conflict, with Afghan boys and girls killed, maimed, sexually assaulted, abused, recruited and used by parties to the conflict," said Danielle Bell, mission's human rights chief. The violence, she added, "continued to erode the rights of children to education, health-care, freedom of movement and other fundamental rights, as well as family life, playing outdoors and simply enjoying a childhood free of the brutal effects of war." The shift points to intensified operations in the region, officials say. The use of improvised explosive devices, or IEDs, remained the leading cause of civilian casualties, according to the report. The combined use of suicide and non-suicide bombings caused nearly half of all civilian casualties. The report attributed just over a half — or 52 percent — of civilian casualties from suicide and complex attacks in the first half of the year to the Islamic State group, mainly in the capital of Kabul and the eastern Nangarhar province, where IS has gained a foothold. On Thursday, at least 10 civilians were killed in Nangarhar's Khogyani district after the army launched an operation against insurgents there, said Ajmal Omar, a member of the provincial council. The dead were mostly shopkeepers caught in the cross-fire. The Taliban were responsible for 40 percent while the remainder were attributed to unidentified anti-government elements, the report said.